Experienced property professionals across the real estate spectrum know there’s a key to unlocking winning deals time after time. Some agents try to blind side you with expressive trigger phrases like ‘ambiance’ and ‘serenity’. It’s an emotional attempt at hitting your hot button marked “buyer premium” where you’re purchasing with your heart and not your head. While I applaud these Cyrano de Bergeracs of bricks and mortar, let’s cut to the chase. Successful property buying is a numbers game, and the most important figure is market value. Market value is simply the amount for which an asset will trade on a particular date between a well-informed buyer and well-informed seller who are keen to do business but won’t ignore practical reason. In short, it’s the price at which two intelligent parties agree to trade. Why is it the key? Knowing your property’s market value means you have a benchmark for whether an offer is too high when buying, or too low when selling. It’s the pointy end of negotiations where the rubber hits the road. With a market value as your standard, you become a smart negotiator. Savvy in Kenny Rogers kind of way – you’ll to know when to hold ‘em and know when to fold ‘em. How is market value assessed? Market value is most commonly assessed by comparing your property to the prices other similar properties have recently sold for in the same general location. By looking at a selection of recent sales and comparing them with your property of interest – and making allowances for a variety of factors from land size and orientation through to house size and standard of fit out – you build a reasonable idea of what your property is worth. It’s not a skill learned quickly. 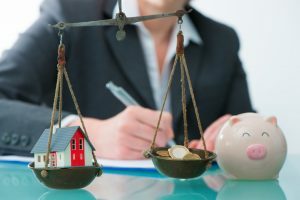 You can hire an independent property valuer to assess the number, but even they won’t land on the exact dollar 100 per cent of the time. Most experienced property professionals can look at a standard home and, with the emotional gravitas of cutting board, assess the market value with reasonable accuracy. It’s this level-headed business approach that overcomes the human frailties of the heart, thus helping the buyer avoid paying a premium. Another element professionals bring to the picture is an experienced eye for the outlook of a market and the property it includes. For example, a building boom that sees towers of units approved for construction will impact future supply. If you don’t know how to allow for this dilution, you could be caught paying the wrong price for a lousy asset. Another element is the ability to think long-term. Small shifts in market confidence and knee-jerk reactions to recent but minor economic movements can lead to a poor assessment and an ultimately dud decision. Look at the long-term trends so you can feel safe about your final price. With your market value firmly established, now is the time to begin drawing a line in the sand. There may be circumstances where you decide to exceed your assessed market value. For example, if purchasing your neighbour’s property means you’ll own a potential development site, paying above market value could be a winning strategy. Market value can also help allow for the unknown. Say you decide a property is worth $1 million, but you’re a little unsure as to whether the pergola is council approval, or the spa bath is correctly installed. Pulling back a little from the market value can create a buffer to ensure that if those items become a problem, you’ve left a little in the tank to correct the situation – or avoid the deal altogether. Can anyone assess Market Value? With a lot of market research including walks through multiple open homes, auction attendances, and a study of sales data, most reasonable people can come up with an idea of market value but it’s not easy. You must consider a wide range of variables including land size, orientation, internal size and layout, aspect, views, distance to amenities, local market conditions, alternative land uses, restrictions on title, zoning and special features just to name a few. There’s no denying that experience will win in the end and when you operate daily in a market, assessing value becomes second nature. Knowing market value with certainty is imperative when making a property purchase. It’s an element of real estate trading that’s most effectively handled by those with the experience to understand property nuances so decisions are well informed, unemotional and striving for the right outcome.